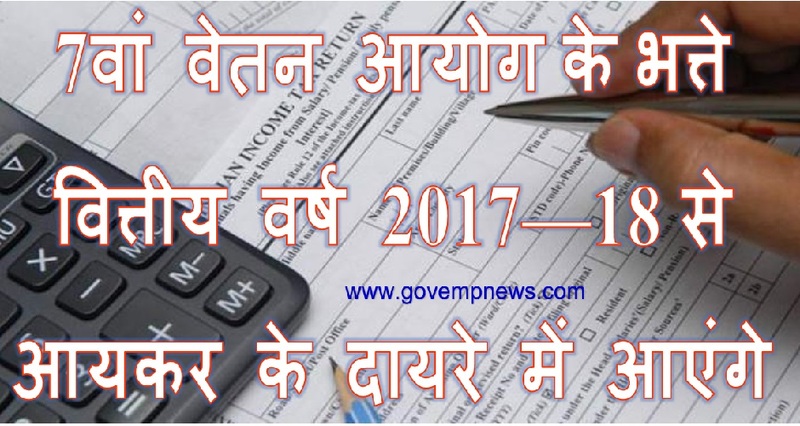 Although the Central Government Employee Unions demanded exemption of the allowances from Income tax, their wish in this request will not be granted. 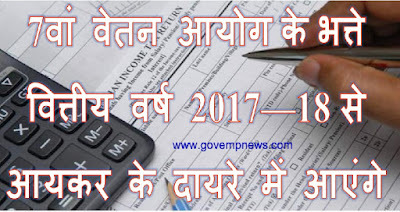 New Delhi, August 7: New allowances of central government employees, based on recommendations of the 7th Pay Commission, will come under the ambit of Income tax, reports claimed. According to a Senior Finance Ministry official, income tax will be imposed on the allowances which were granted from financial year 2017-18 . As per reports, tax treatment on basic salary, bonus and allowances among others, for both government and non-government salaried employees was proposed in the Finance Bill 2017. However, in the past, central government employees union demanded exemption from income tax on new allowances under the recommendations of the 7th Pay Commission. The government, as per the 7CPC recommendations, implemented the new pay structure from January, 2016 for central government employees and the allowances, the compensatory perks for all employees, from July 1, 2017. Although the unions demanded implementation of the allowances with retrospective effect from January 2016, there is a usual practice to pay the allowances from the date of implementation. Speaking to India.com, the official said that the government had no plan to give allowances in arrears since beginning. However, this deeply annoyed the central government employees. Noteworthy that, keeping in mind the salary and allowance hikes, Finance Minister Arun Jaitley allocated Rs 1.02 lakh crore in the 2016-17 Union budget for paying the central government employees. According to the senior official, delay in the implementation of allowances was chiefly because of the financial gains of the government and reportedly saved nearly Rs 40,000 crore. The bone of contention between central government employees’ unions and government, the House Rent Allowance (HRA), which unions demanded at the rate of 30 per cent, 20 per cent and 10 percent of basic pay with arrears.